1 Where to store cabbage? 2 How to store fresh cabbage? To keep the cabbage and all its useful properties, Firstly, it is necessary to harvest properly. How to store cabbage in winter. mistake to, who thinks, that the main, to the vault was cold. cut off, I left all. Not. how store cabbage in the winter - is a science. so, harvest. To harvest the cabbage must choose a clear autumn day. In late autumn days are still falling out such. Take a shovel and gently, without damaging the stalk, pull the cabbage out of the soil. It is not necessary to cut stalks, Only clean it off the ground. The harvested cabbage dry, ie leave outdoors. If the day is not cloudy, days it is enough to lie down. why dry? This will allow longer preserved cabbage. For storage only send good cabbages. Small and damaged a better ferment. Perfect option, cellar. Pre-basement in the summer dry and whiten with lime. High humidity and optimum temperature (-1 and -2 degrees) help protect the crop from rotting, Diseases and mice. In winter, keep the cabbage in several ways: pour sand, wrap paper, simply suspended and others. Let us consider each method. How to store fresh cabbage? for the lazy. The easiest way to take one wooden or cardboard container and put back the cabbage. the main thing, not stack cabbage, with necessarily truncated cobs, tightly. Otherwise, air will circulate bad. This method is unreliable. So long cabbage do not save. Although, if small crop, you can use it. Put together a wooden deck on the legs. Leave a gap between the boards. Lay a pyramid cabbages. This will give the air of freedom. The method is simple, but the disadvantage of this storage is, what, if any head podgniet, it will be hard to get. The whole structure will collapse. So what? be rebuilt? If you are in the basement shelves, it can be stored on them. a great option. no crowding, cabbage freely and comfortably. The owner will not be difficult to take a favorite head. 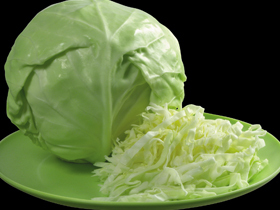 Perfectly preserves fresh cabbage sand. You can simply fill in a box. But the best thing on the floor and stick to it stalks. Excellent retains all the vitamins, prevents disease and rot. Another method, proven in practice. Newspaper. Each head wrap in several layers. But, as now, a little newspaper, prescribers, adapted to wrap cling film. Perfect solution. 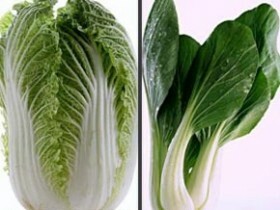 Moisture does not fall, cabbage may persist even until the next harvest. Important! wrap tightly. And last. Hang the cabbage to the ceiling. The ceiling hammer nails. Snap one end of the rope to the cobs, and the second - to the nail. With this storage does not spoil the harvest. Plus also the fact, in the basement there is a lot of free space, which can be used for other winter vegetables. 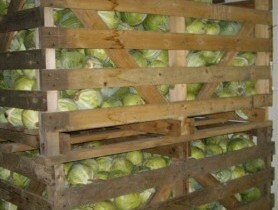 Observing all the rules, how to store cabbage, you can be sure of the usefulness and longevity of the harvested crop.